Russian authorities are accusing him of plotting terrorist acts in Crimea. 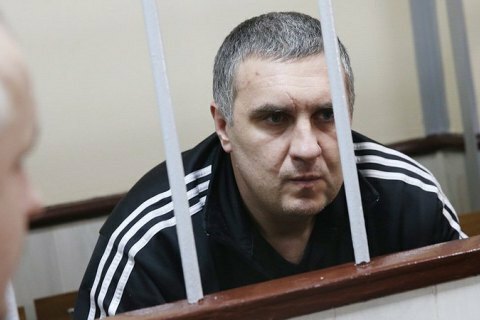 The supreme court of Russia-annexed Crimea has sentenced the defendant in the case of so-called "Ukrainian saboteurs", Yevhen Panov, to eight years in a tight security colony, according to the Krym.Realii website. The prosecution requested 10.5 years for Panov. The court started considering the case in essence in April. Panov reportedly refused to cooperate with Russian investigation. After this, his arrest was extended by six months until 26 September. Crimean Human Rights Group said on Facebook that the ruling was issued by Russian judge Andrey Paliy, who used to work at Kaliningrad's Leningradsiy district court. According to rights activists, Panov was subjected to torture and psychological pressure, there were cases of falsification of evidence, obstacles to lawyers' work and his right to fair trial was violated. "Like other Ukrainian citizens, who became defendants in the cases of 'saboteurs', Panov is a victim of politically motivated criminal prosecution," it said. Another defendant in the case, Andriy Zakhtey, signed a pre-trial deal with the investigation. In February, he was sentenced to six years and six months in a tight security colony and a fine of 220,000 rubles (about 105,000 hryvnyas). On 10 August 2016, the Russian FSB said it had prevented terrorist acts in occupied Crimea, which were allegedly plotted by "Ukrainian saboteurs". It detained one of the alleged saboteurs, Ukrainian national Yevhen Panov, a resident of Zaporizhzhya Region. He used to work as a bus driver at the Zaporizhzhya nuclear plant.